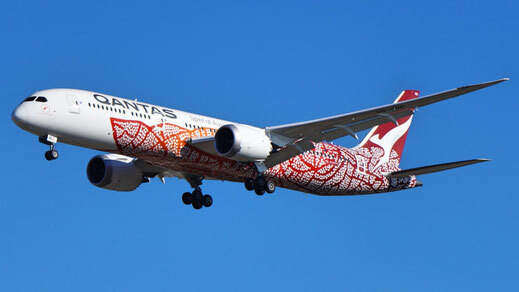 The world's first non-stop flight between Australia and the UK has landed at London Heathrow on Sunday morning the 25th of March 2018 marking a historical journey. Qantas operates the flight on a 787-9 Dreamliner. It is the second-longest longest flight in the world after Qatar Airways route from Doha to Auckland which is operated by a 777-200LR. The route from Australia to the United Kingdom is also known as the "Kangaroo Route" and took 4 days with several stops along the way. But you can read more about the airlines history in my latest "10 Qantas Airways facts you should know". 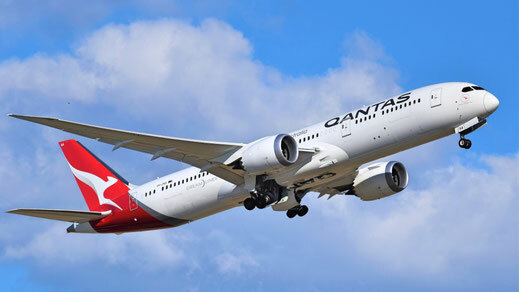 Note: This is not a comprehensive review but a quick overview of Qantas 787-9 Dreamliner. 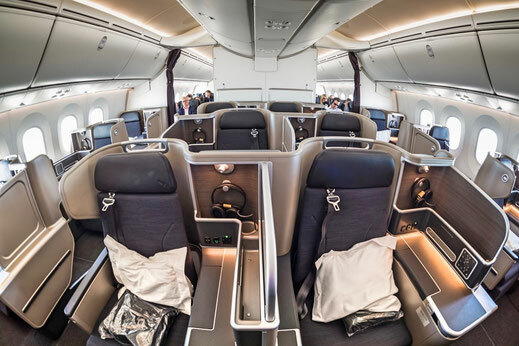 The 'Flying Kangaroo' only received it's first 787-9 Dreamliner last year and the airplane comes in a 3-class configuration consisting of 42 Business Class seats, 28 Premium Economy seats as well as 166 seats in Economy class. Which makes 236 seats in total. British Airways also operates the Boeing 787-9 though in 4 classes. It comes with 8 seats in First Class (Make sure to read my review), 42 in Business Class, 39 in Premium Economy and 127 in Economy. Which comes down to 216 seats. 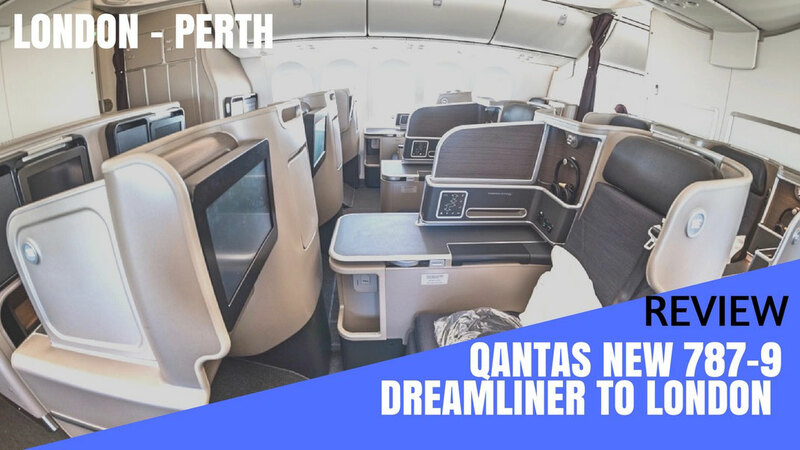 With the delivery of the Dreamliner in 2017, Qantas also introduces an upgraded Business Class product and the feedback on the new seats seems to be great. The seat can go completely flat and appears to be very spacious. It features a power plug, USB slots as well as a lot of storage space. The entertainment screen in front of you offers a great variety of movies, documentaries and sitcoms. 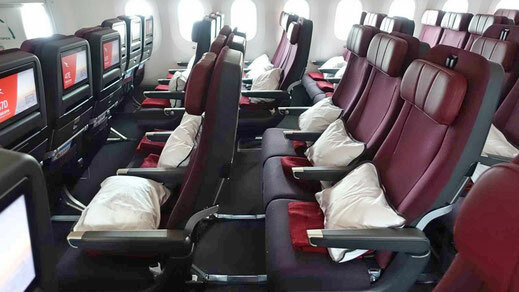 The cabin comes in a 1-2-1 configuration, which means every seat on board has direct aisle access. The seats are staggered meaning that some are closer to the window, which also offer more privacy and some closer to the aisle with a bit less private space. 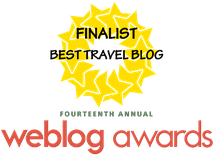 Australians are real foodies and if you have ever been to 'Down Under' you probably have noticed. Dinning on Qantas has always been a pleasure for me, also in Economy, especially on my trip to Johannesburg on the Boeing 747. Personally I'm not a big fan of the 'Premium' Economy Class concept which was initially introduced by the Taiwanese airline EVA Air. Qantas 'in between' product comes in a 2-3-2 configuration. The seats are a bit wider and the recline more generous. Also the service is upgraded in comparison to the basic economy. The screen is bigger and the baggage allowance too. You have 166 seats in the back of the cabin in a 3-3-3 configuration. 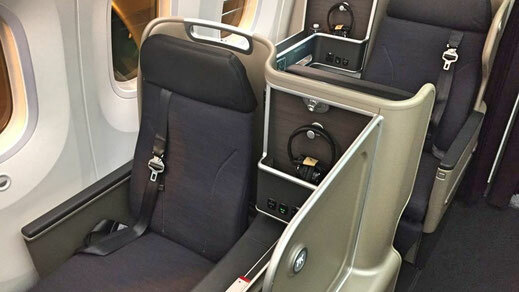 Every seat features a personal entertainment screen, a USB slot and a power plug. Unfortunately Qantas doesn't offer Internet on its flights which makes the 17hours journey a bit longer. 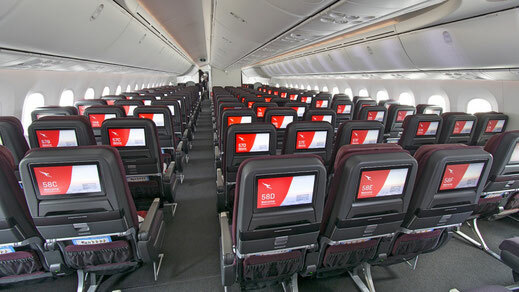 Qantas 787-9 Dreamliner is one of the better ones. 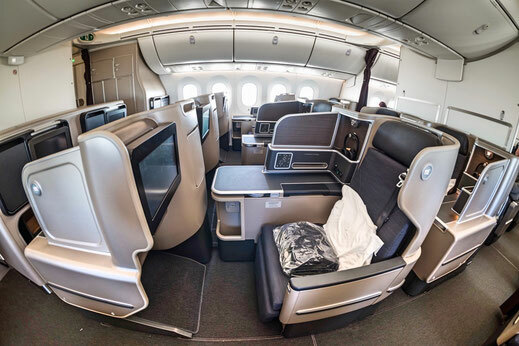 The Business Class seat is a world class product, which is spacious and on top of that offers a lot of privacy. 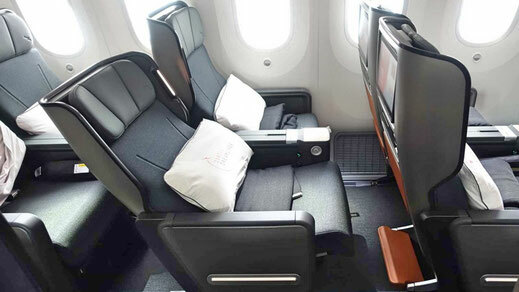 Also the Premium Economy Class stands out and offers a lot more than on other carriers. 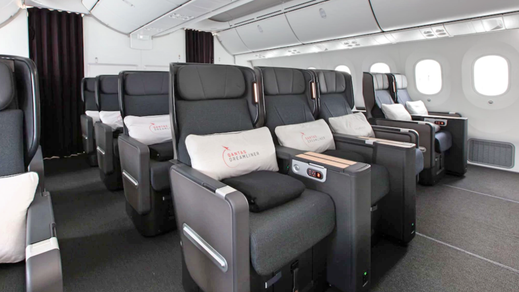 Many Dreamliner's, especially the Chinese ones, such as Hainan Airlines or Xiamen Air don't even offer a Premium Economy. 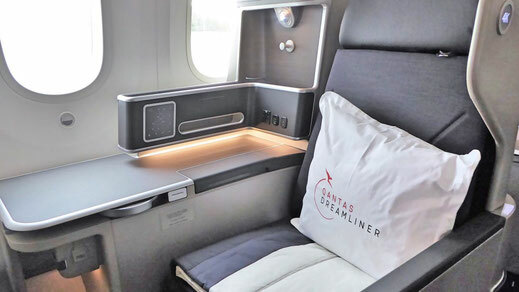 Qantas Economy Class is one of the best for me and considering that this is a 17 hours flight. I would book a flight on QF 787 without any hesitation.